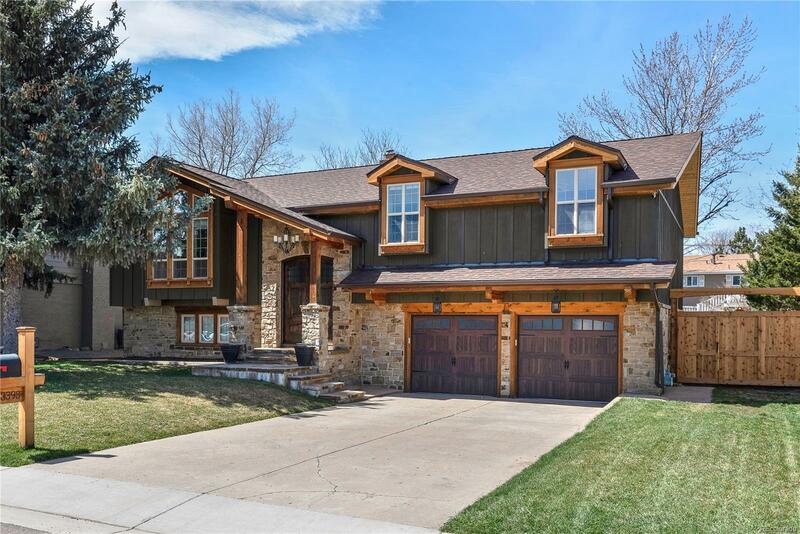 Unbelievable full custom remodeled home! This breathtaking Applewood home is located on a quiet street, with a large level lot, and surrounded by green space. Tired of looking at the same dated houses with generic builder grade finishes? The high end finishes, details, and craftsmanship youâll find here are simply second to none and make for an entertainers dream home. Just some of the features include a full custom kitchen with high end appliances, expansive two level outdoor entertaining space including a fire pit and full spec outdoor kitchen crafted from tiger wood, three beautiful newly remodeled bathrooms, storage solutions throughout, handmade solid cherry front doors, cherry and burled walnut railings, plus a one of a kind speakeasy walkout lower family room with true Canadian barn wood and full wet bar. With over 250K in updates and over 150K in custom cabinetry throughout there are simply too many features to list. You simply must see this home in person to appreciate it.